This entry was posted in Beasts, Dinosaurs. Bookmark the permalink. 25 m is ridiculous. 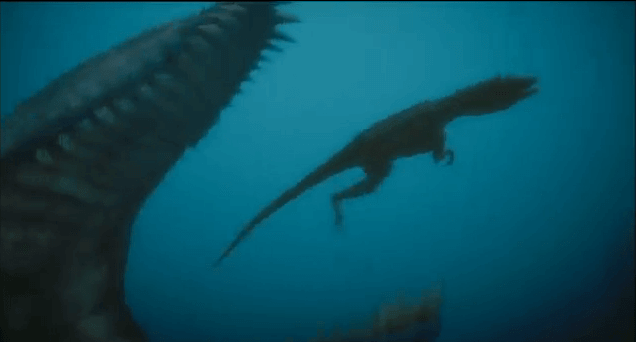 L. ferox is 11 m MAXIMUM and L. rossicus 6-8 m. A better “super marine predator” for WWD would have been Mosasaurus. I’m sure Liopleurodon itself wouldn’t be impressed with all these fanboys. Would YOU want someone worshipping you as a god? 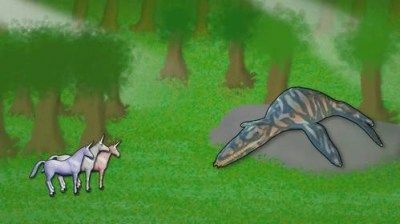 You are a perfect example of why Liopleurodon is still so popular. It wasn’t remotely related to a crocodile, in fact it wasn’t even an Archosaur. By the way, 21ft is a little more than 6 metres so you just disagreed with yourself. Idiot. Textbook fanboy. 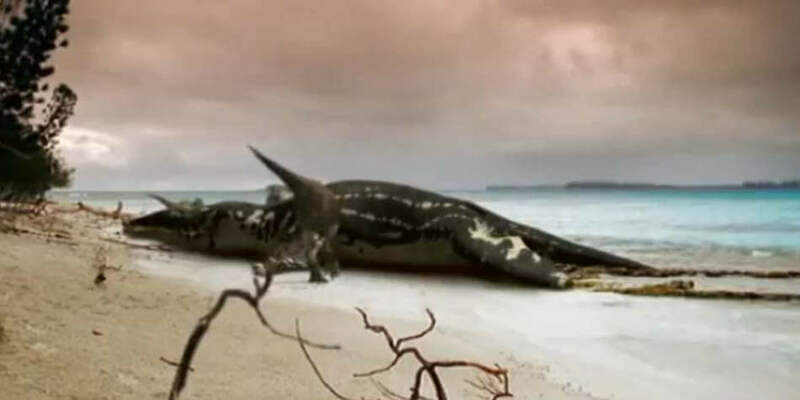 There is no evidence to suggest 25 m for Liopleurodon; it was imagined by Tim Haines; his argument had less supporting evidence than the 8 foot Spinosaurus skull. Fine if Liopleurodon is 25 m and eats Eustreptospondylus then Spinosaurus is 21 m and hunts Tyrannosaurus. Happy now? And what is with your claim that Liopleurodon was 6 m? You’re contradicting yourself, buddy. Also, where did I say that megalodon is “better”, or even mention it for that matter? Wait, you mean Mosasaurus. That’s a marine lizard. Carcharocles megalodon is a shark. If you don’t know the difference between a shark and a lizard, please repeat the second grade. 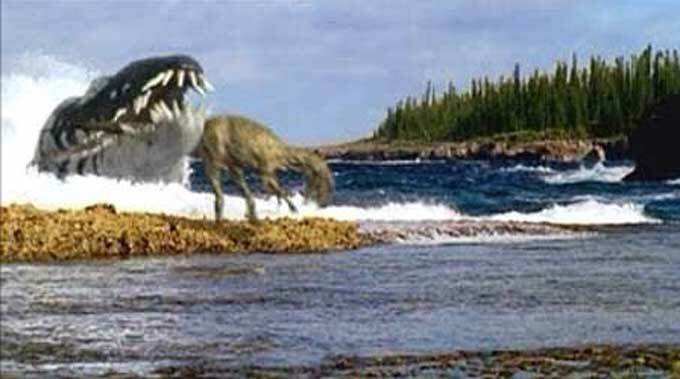 And I never said Mosasaurus was “better” than Liopleurodon, only that it would have been a better candidate for Liopleurodon’s role. That’s because it’s a larger, agile, and generally more powerful predator, but that doesn’t make it “better” than Liopleurodon. 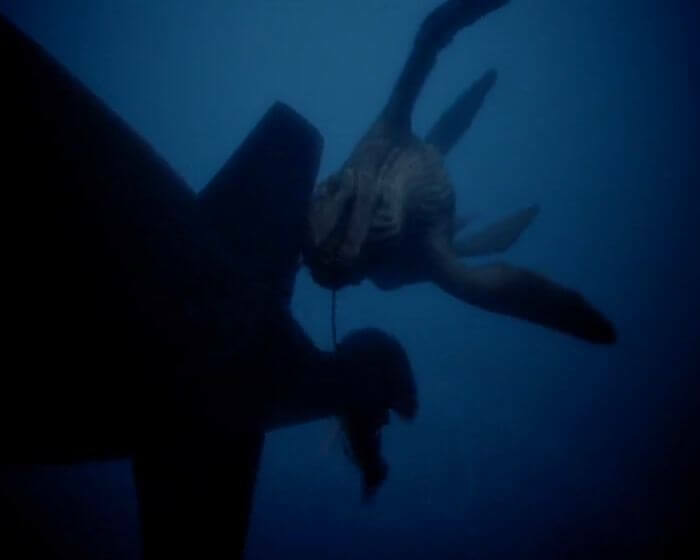 It just fills Liopleurodon’s film role better. P.S. How old are you, 10?